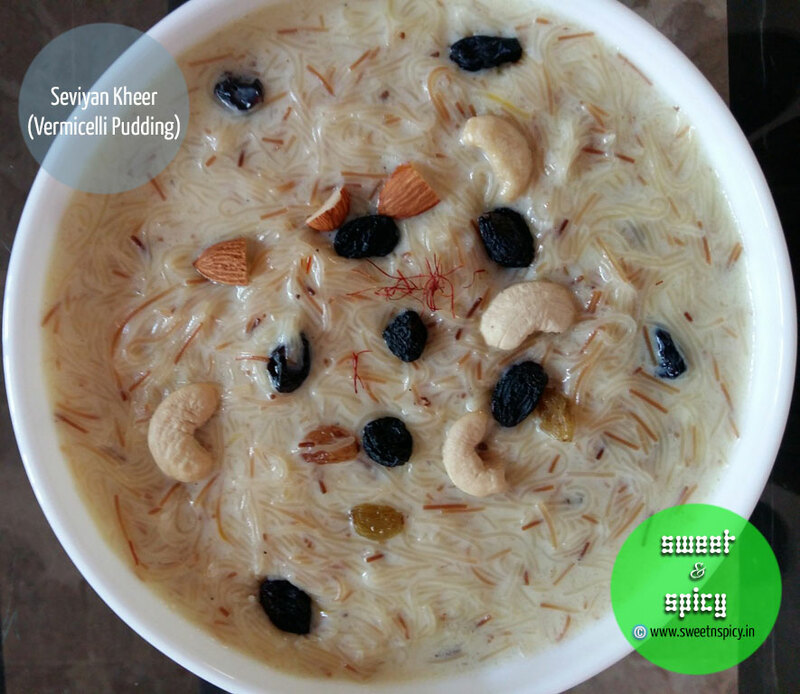 Having Seviyan Kheer or Vermicelli Pudding for breakfast - could there be a better way to beat the Monday blues and liven up the morning? The best thing about this dessert is that it is one of the easiest to prepare desserts, hardly takes any time and yet tastes absolutely heavenly. Vermicelli or seviyan is first roasted with ghee to a golden yellow colour for a few minutes and then is cooked with boiled milk and sugar and later garnished with chopped dry fruits like cashew nuts, raisins and almonds. P.S. Sweet & Spicy (www.sweetnspicy.in) is my exclusive food blog. It's Now Or Never... There Is No Next Time!